Professor Margaret Barry is a professor that works closely with policymakers and practitioners on the development, implementation and evaluation of mental health promotion interventions and policies at national and international level. 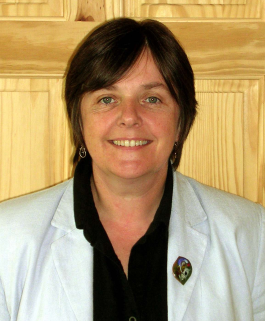 She currently holds the Established Chair in Health Promotion and Public Health at the National University of Ireland Galway, where she is Head of the WHO Collaborating Centre for Health Promotion Research. Margaret was elected as Global Vice President for Capacity Building, Education and Training by the International Union for Health Promotion and Education from 2007 to 2010. She has served as Temporary Advisor to the WHO and has acted as project leader on major European Union funded initiatives. Barry was appointed to the European Commission Expert Panel on Effective Ways of Investing in Health from 2013-2016 and was re-appointed for a second term from 2016-2019. She is also co-author of the international text Implementing Mental Health Promotion. Professor Margaret Barry will serve as keynote speaker at the Opening Ceremonies on August 21st. Her presentation will raise awareness of innovative approaches to promoting child and youth mental health, and emphasize that moving to action on supportive evidence will require a shift thinking and a shared vision. “Are we ready for the challenge?” A question and answer period will follow her presentation.